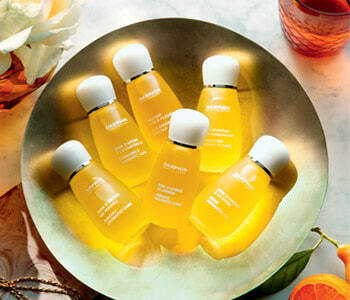 Do you feel unsure and nervous about face oils? Then you have not experienced Darphin’s Essential Oil Elixirs! Created with the finest aromatic essential oils, these high-performance elixirs instantly melt into the skin and leave it feeling silky smooth and glowing with nutrition and vitality. Transform your skin today with one of Darphin’s seven elixirs, there’s one for every skin care concern from dry, sensitive to oily, combination skin. Give your skin a boost!